People always ask me what my favorite animal is to train…and honestly I don’t have a favorite. What I can say is that certain individuals in my career path have taught me a lot and touched a deep place in my soul. 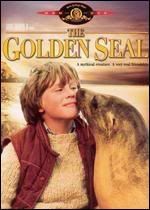 One such creature was Schmoo, a California Sea Lion who, during our association, starred in the movie The Golden Seal. At the time I began working with her she was an operant conditioned animal who really did not want to have too much to do with you unless you had a fish bucket strapped to your side. To break her out of the bucket dependency I worked on strategies from my affection training days and some other innovative ideas. The result was a curious and more stable animal who was quite the character. Although I have many memories of our time together, two of my favorite stories are when she turned the tables on me and then didn’t quite know what to do when I entered her tank. During our off time, I would spend time in her enclosure around the tank. Often I’d toss her rings into the water for retrieval–much like many people do with their dogs. However, she was quite the innovator and began adding variations to the retrieve. Sometimes she would bring the ring back in her mouth and hoist herself onto the edge of the tank and drop it for me to toss to her. Then she would hoist up and toss it to me. Or she might ring it around her flipper and bring it. The next time she might wear it around her neck or put it on her back flippers–you get the idea. I always tried to fool her–which was tough. But I managed to put one over on her and pretended to throw it–she dove into the water looking for the ring until she realized that I had not really thrown it and still had it in my hand. That was the first and last time I fooled her on that one. I never imagined that she would turn the tables and try the same thing on me. Not too long after my fake out, we were enjoying one of our play sessions. She hoisted herself up and tossed her head as if to throw the ring. I did a double take–and then busted up laughing. It was pretty amusing because I could see the glint in her eye and the playful positioning of her whiskers as she mimicked my previous fake out actions. Then there was the first time I went swimming with her…until then nobody had gotten in the tank with her. She watched with curiosity as the approached the tank but when I slipped into the tank she porpoised out with such velocity that I laughed vigorously. Her curious nature got the best of her and she came in to swim with me but I don’t think she ever imagined humans could swim prior to that. Schmoo also was the topic of my first paper (on the innovative training we did with her) presented to the International Marine Animal Trainers Association (IMATA) in Hawaii where she earned me a lot of kudos that came with some interesting job offers. Sadly, Schmoo passed into other realms yesterday. I last saw her about seven years ago. She greeted me as she always did and people didn’t seem to believe that she would remember someone who worked with her twenty-something years previously. 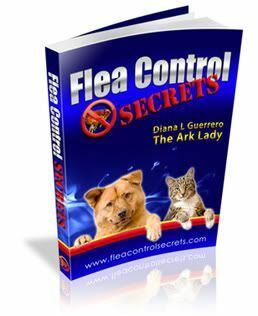 Animal pals are like long lost friends–they do remember and if you had a good relationship there is a connection that lasts throughout your lifetime. Schmoo left a legacy of people who learned to train from experiences with her and she impacted an amazing number of children and adults through her performances in the 30 years of her captive life. RIP Schmoo, you will be deeply missed.